If you&apos;re aching for the days of Journey and Michael Jackson, this is the event for you. Totally &apos;80s live with The Highballs is coming back to the Melting Point for a show that will transport you back to the days of permed hair, neon spandex, and music that made you think you could moon walk. It&apos;s definitely something you&apos;re not going to want to miss, so check them out this Friday night at 9 p.m. Doors open at 6 for dinner and drinks.&nbsp;Tickets&nbsp;are $10 in advance and $13 the day of the show. No perfect Athens weekend would be complete without live music at the Georgia Theatre. This Saturday, the Cosmic Charlies are taking the stage for an unforgettable night. Dark Side of the Dead is an inventive performance of the entire Pink Floyd classic, Dark Side of the Moon&nbsp;album, with an infusion of Grateful Dead, complete with backup singers and saxophones. Doors open at 10 p.m. and the show begins after the game. Grab your tickets&nbsp;now! With ONE more football game left to take place between our beloved hedges this year, you need to be making your plans now to make this Saturday in Athens your best one yet! For all things UGA football related, including tips on where to stay, park, and eat, check out visitathensga.com/football. And don&apos;t forget to look at the calendar if you want to see all the other fun things going on this weekend in Athens, Georgia. Have a great, safe weekend! 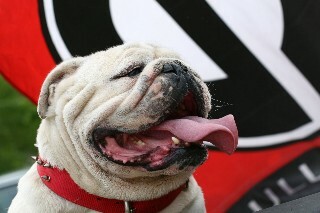 And GO DAWGS!